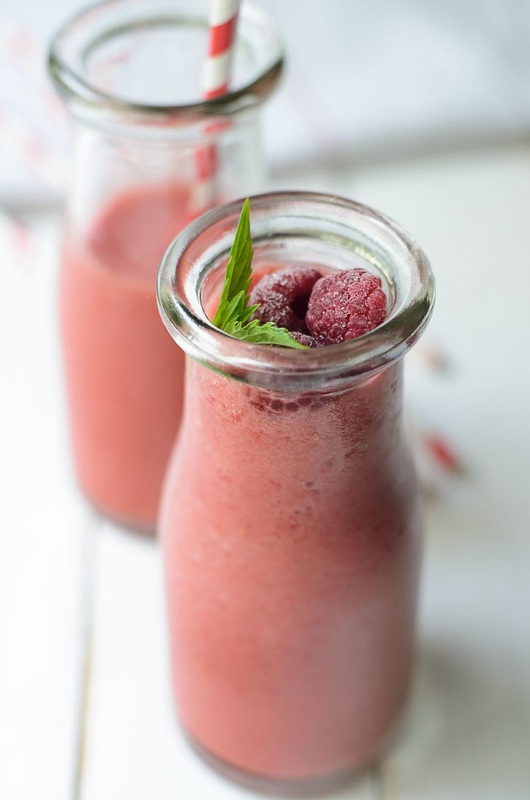 Summer has gone and I still have some remnants of summer berries in the freezer, it's time to make some smoothies. I am adding an ingredient that I recently knew/heard about. Its maca powder, hence adding the superfood powder into my smoothies. 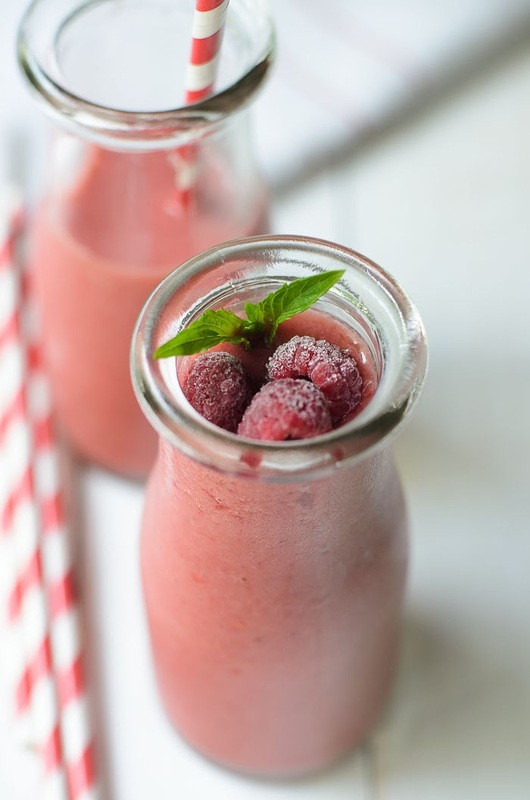 There are so many super food being marketed at the moment that I am quite baffled, felt overwhelmed by the vast informations available at my finger tips. These all comes in powdered forms and deemed to be the "in' thing in superfood line. I only know 2 of the abovementioned. Spirulina ~ I used to feed my kids spirulina when they were young. Moringa ~ the mother of all tree. My mom's neighbour had this tree in their garden. I love the pods or known as Indian drumsticks. I've blogged about the use of the twigs and cooked and posted Lentils and Drumsticks curry before. Check out the post :P.
I am happy to see that Moringa is categorised as one of the superfood, but not happy looking at the price though. I am on to my third.... Maca powder! A short blurb on Maca, based on what the information found on the net, other than wiki. Maca or its scientific name is Lepidium meyenii is from the Peruvian Andes. In powder form, this Peruvian 'ginseng' will boost your energy, help to keep hormone balanced (good for fertility too) and keep blood pressure low. 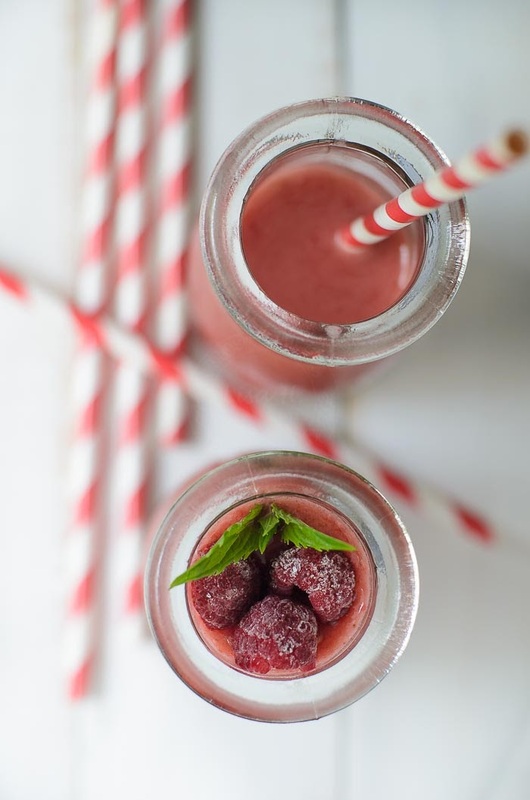 With raspberries, strawberries, banana, coconut water and a couple teaspoons of Maca powder, a wholesome Berries and Maca Powder smoothies is born. 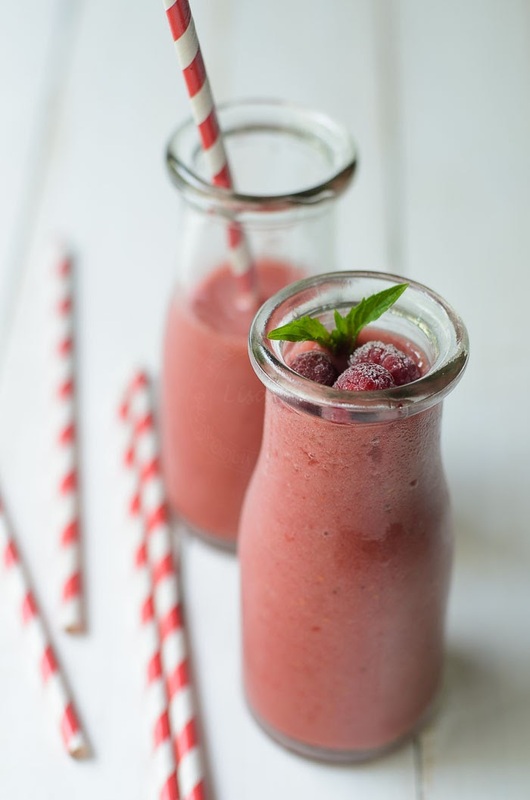 Note : I used NutriBlend to make my smoothies. 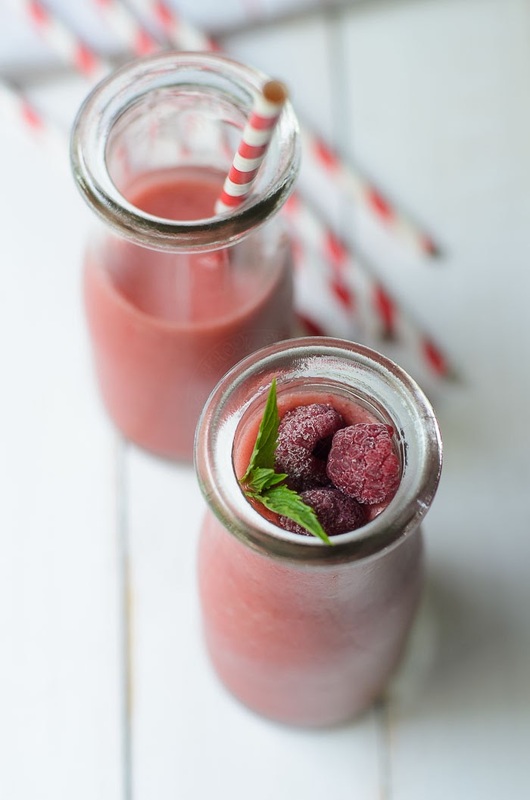 Berries and Maca Powder Smoothies ~ made of raspberries, strawberries, banana and a small amount of maca powder, blended with coconut water.